On 30th December 1944, residents of the Dales were roused from their sleep at 1:36 a.m. by a tremor that caused rattling windows and sliding furniture, as well as widespread anxiety. Though hotly debated for years, it is generally held that this was movement along the spectacular South Craven Fault. This member of the fault zone is truly awesome in scale, with a downthrow of immense proportions, best understood from observing the landscape around Ingleton. The Grassington Grit cap of Ingleborough stands at 2337 feet, yet the same rock beneath the Ingleton coalfield to the south west of the Ingleton Waterfalls Trail is an incredible 1400 metres (4600 feet) lower down, and well below sea level. Some of this ‘fault throw’ has been caused by the North Craven Fault – but only about 600 feet, leaving a drop of 1200 metres (4000 feet) along this spectacular fracture. In geological terms then, the South Craven Fault is a monster, and if the tremors of 1944 are anything to go by – a sleeping one at that. 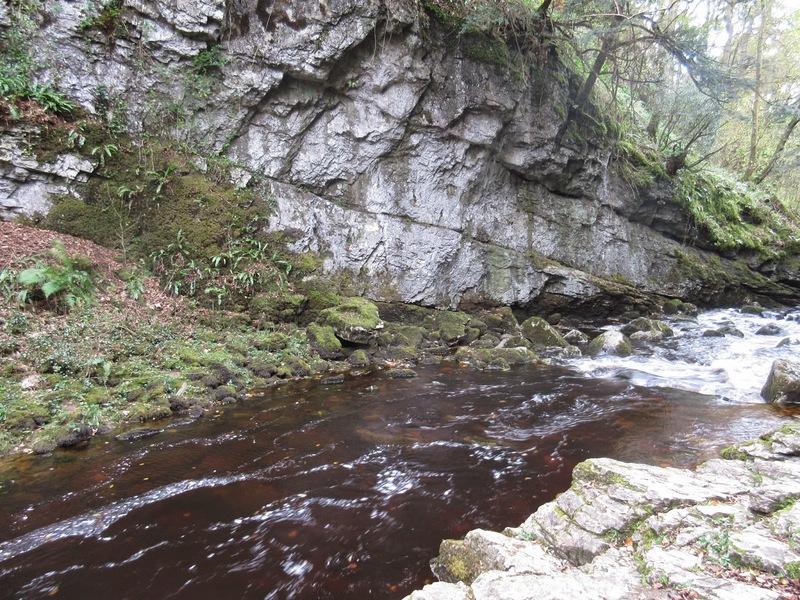 The Fault is crossed a short distance into the Ingleton Waterfalls Trail where, on the right bank of the Twiss, Great Scar Limestone can be seen dipping beneath the surface to follow the anticline of the basement beds at Swilla Glen. On the return leg, along the Doe, it is again crossed south of the old Meal Bank Limestone quarry, where continuing limestone now lies hundreds of feet below. 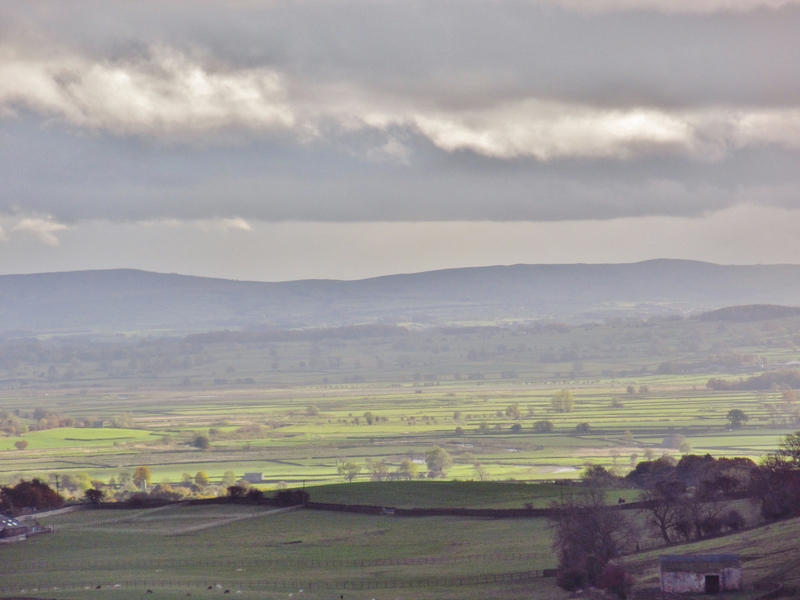 Driving towards Settle from Ingleton, beneath the Ingleborough massif, the A65 generally matches the fault line, with the high ground of Newby Moss on the left and the lowlands of the Craven Basin on the right. Drama then intensifies as the motorist avoids the Settle bypass and heads left down the B6480, or ‘Buckhaw Brow’. 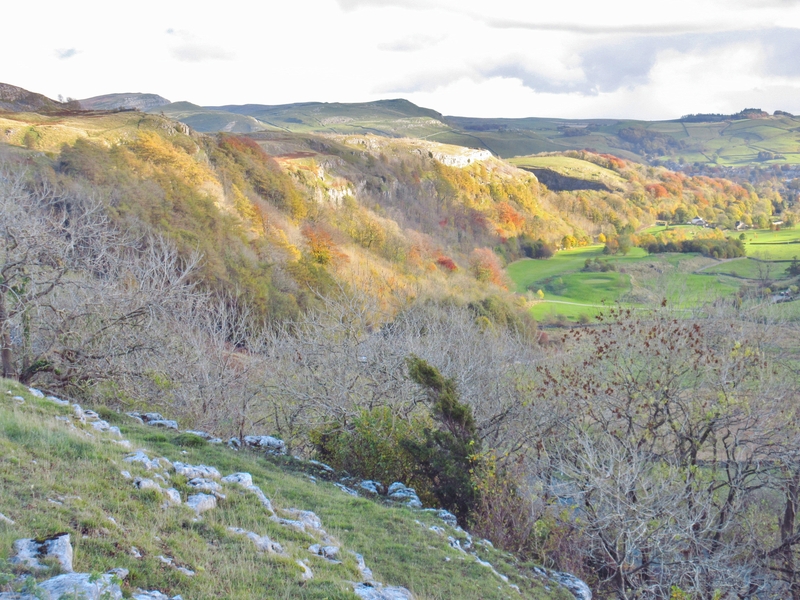 Here is perhaps the most spectacular evidence of a major fault in Britain: with the woodland-clothed heights of Giggleswick Scar giving way to the gentle contours of the Craven lowlands on the south side of the road. Here the site of the ancient Huntworth Tarn is now a golf course, and golfers can at the same time admire the limestone cliffs of the scar and yet have the same rock hundreds of feet beneath them. Giggleswick Scar is not a true fault scarp, as the great cliffs were not actually formed by the fault. Instead, they are prominent as a result of the erosion of softer shales to the south of the fault line. In Carboniferous times, the South Craven Fault was responsible for the steep drop into deeper water clearly seen above Settle. The old road to Malham from the town rises steeply below the reef limestone of High Hill, with the fault line just to the south. 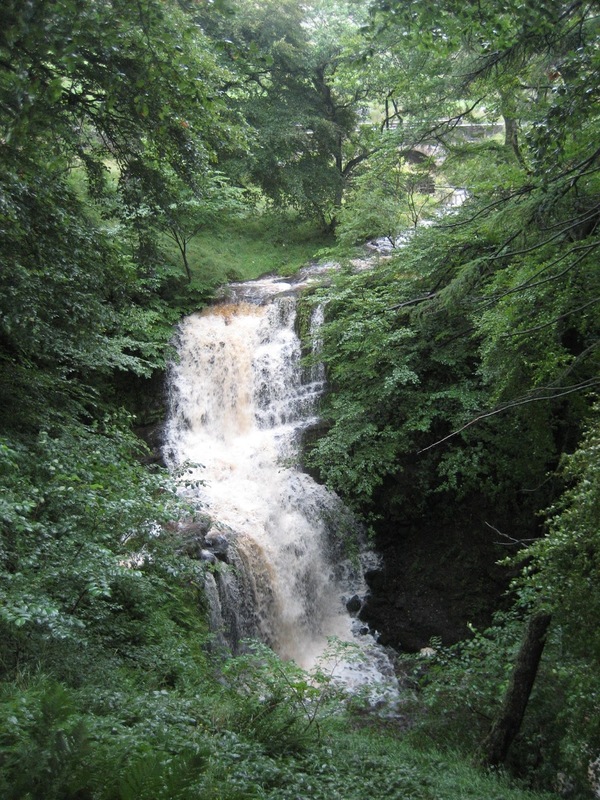 At Scaleber Force, the uplifted limestone has been exploited by the stream to form a fine waterfall which originally lay on the scarp of the fault, but has since been cut back into a steep sided gorge. From Scaleber, the effects of the fault can be appreciated with the distinct change from rugged limestone to the flat ‘sea bed’ of the Craven Basin.